Aerodynamics are just a fad. Or so the designers at 1980's Buick (And 1980's Volvo for that matter) seemed to think. 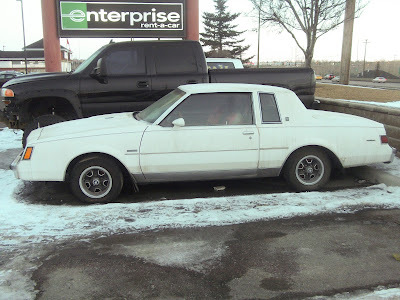 Like a dangerous child's toy, today's featured 1982 Buick Regal was covered in sharp creases, drop offs and points. 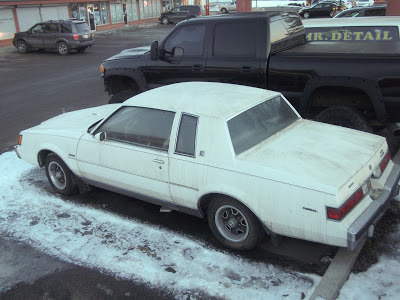 But this particular Buick is also a little edgy under the hood. 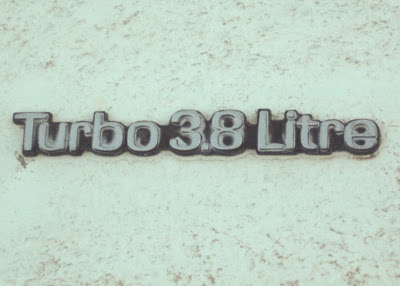 As the grungy badge proclaims, there's an early incarnation of the legendary 3.8 liter turbo V6 under the bulged hood. Later on, more refined and powerful versions of this engine would go on to power the Grand National and McLaren tuned GNX. The replacement for displacement had arrived. Buick had been experimenting with oddball engines long before this. Buick's first turbo car was way back in 1962 and the brand had also tinkered with aluminum V8 engines. Advanced stuff for a mainstream American car. While many American manufactures were content to put neutered low compression V8's in their midsize cars, Buick came up with the idea of a turbocharged V6 instead. It was a fairly brilliant idea, the smaller V6 drank less than it's V8 counterparts and the turbo helped with the displacement deficit. The stealthy hot rodder's choice. 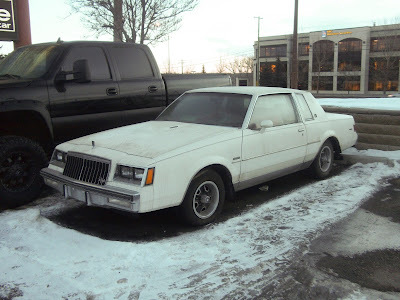 The interesting thing about the turbo Regal is that in a time when many manufacturers plastered their boosted cars with TURBO stickers on every conceivable surface, the Regal featured only the small chrome badge on the hood to warn the uninitiated. The staid looking turbo Regals were notorious "sleepers" and shamed many a disco era Corvette. The turbo Regals would only get more and more powerful until peaking in 1987 with the incredible GNX. But in the end, their speed and reputation for upsetting Corvette owners would partly be their downfall. Like the Fiero, the Regal had gotten too fast for it's boots and Buick's performance offerings were toned down for the following year. 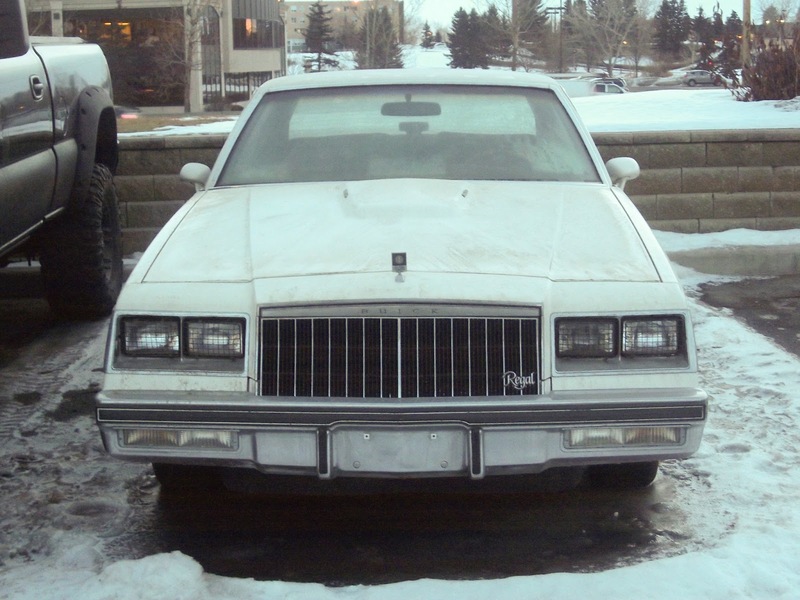 The Regal was also moved to a downsized FWD platform for 1988 and ruined the possibility of making another modern muscle car. Turbo Regals are a rare sight on today's roads though their unique V6 worble can still be heard from time to time if you pay attention.